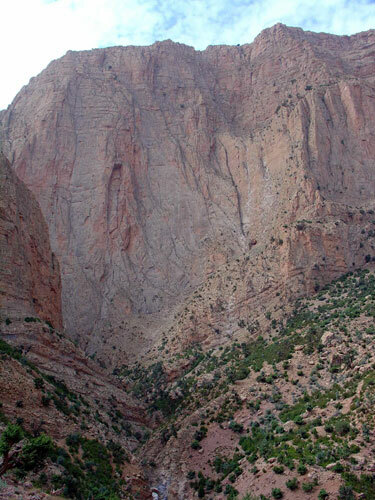 A team of North Face climbers established a long 5.12 route in Morocco’s Taghia Cirque and also built a new roof for a school in the remote village below the limestone cliffs. Conrad Anker, Kris Erickson, Renan Ozturk, Heidi Wirtz, and Kevin Thaw climbed La Bas (5.12) on the Tagoujimt n’Tsouiant cliff in Morocco’s Atlas Mountains, above the village of Taghia; the name is a local expression meaning “no harm.” The route has 12 pitches of bolted 5.10 to 5.12 leading to several hundred yards of easier, traditionally protected climbing to gain the top of the 2,500-foot cliff. Climbers (mostly French) have been visiting the Taghia Cirque for about 30 years, and new-route activity has increased steadily in recent years, adding both the benefits and costs of tourism to the traditional farming and herding economy. Taghia is three hours’ walk from the nearest road. Generated electricity and timber for the new school roof had to be hauled in by mule over the course of about three weeks. In addition to climbing their route, the team crafted and installed the roof also they improved established trail accessing climbing routes, plus those leading to high pastures for the local resident's’ seasonal goats migration. La Bas (5.12) climbs the buttress just to the right of the prominent recess in the center of the cliff. 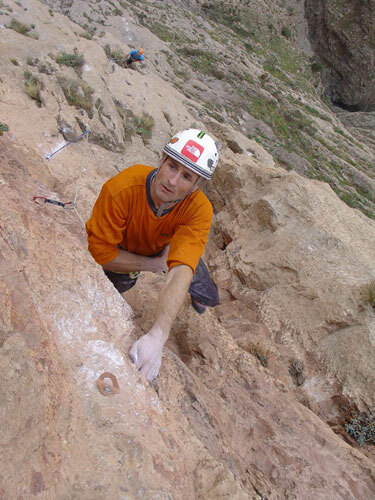 Kevin Thaw leads a pitch low on the new route La Bas in the Atlas Mountains of Morocco. 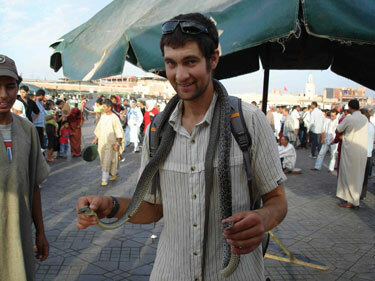 Renan Ozturk samples the delights of a Moroccan market. All photos courtesy of Kevin Thaw. To see dispatches and more photos from the Moroccan expedition, visit www.thenorthface.com.